Headmistresses' chair carved 1939, St Michael's Collegiate, Hobart . Who was Nellie Payne? 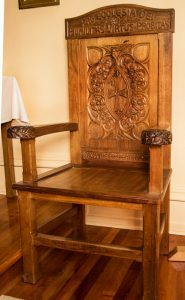 This ceremonial chair was carved for the Prefects of 1939 to present to the school.